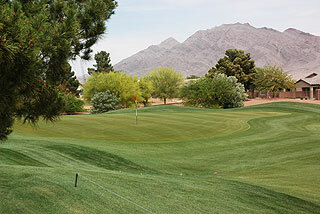 Stallion Mountain is a Jeff Brauer/Jim Colbert Design that renovated with new greens in 2001, experienced design modifications by Brian Curley in 2004, and more recently was re-routed on both the back and front nines. 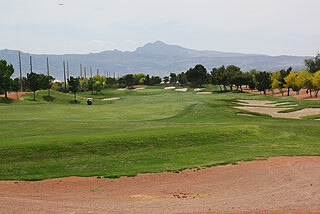 The course was closed for several years, and re-opened in October 2011. On our recent visit we found the course to be finely conditioned - in better shape than we had experienced in several previous visits. On property is a luxurious clubhouse, with restaurant/lounge, locker rooms and a complete golf shop. Their extensive practice facility includes an expansive grass range, huge putting green, and a short game area for chipping and sand practice. Use of all three is complimentary to members and guests. Service in all areas was impeccable. 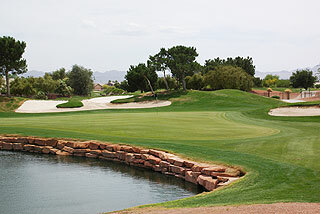 The design features some very nice golf holes, with more of a desert feel present throughout the layout. Black and white 150-yard stakes are very visible from the tees on all par fours and fives, and make excellent targets. GPS is provided on all carts. 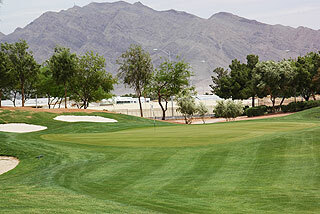 Generally speaking, Stallion Mountain provides generous landing areas off the tee. Tiered fairways and greens, loads of strategically placed bunkers, 2000 mature pine trees, and eight lakes providing interesting shots over significant water hazards are some of the trademarks of this fine layout. 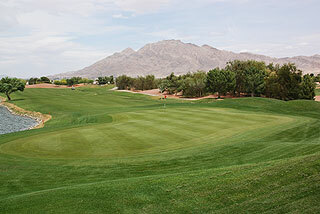 Magnificent vistas abound, including views of the Sunrise Mountain, surrounding desert, and Las Vegas Strip. In the winter, dormant grass lines the fairways, adding aesthetic beauty and serving as prominent defining factor. 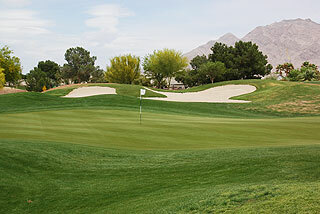 Stallion Mountain features two par threes and 2 par fives on each nine, with around 75 soft sand bunkers lining the landing zones or situated greenside. Water hazards come into play on 9 nines, with holes number 1 and 6 plus holes 16 and 17 affected by the same ponds. Long hitters will love this course, as there are ample opportunities to rip it and grip it off the tee. There is enough trouble in the form of sand and water however, to make golfers think before selecting their club. 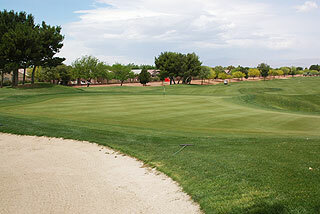 The green complexes vary, with some elevated putting surfaces that are mildly sloped, while others are more level. Players should fine this a fair challenge - good shots are rewarded with good scoring opportunities. We think golfers will appreciate the effort Stallion Mountain has made to become a consistent, exciting golf course... We like the changes and think you will too! 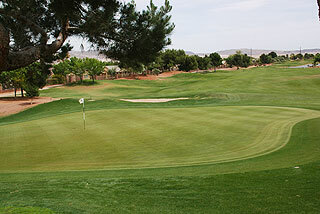 It is conveniently located just 15 minutes from the Las Vegas strip. For more information, visit our page for this course, with a direct link to its website by clicking here.